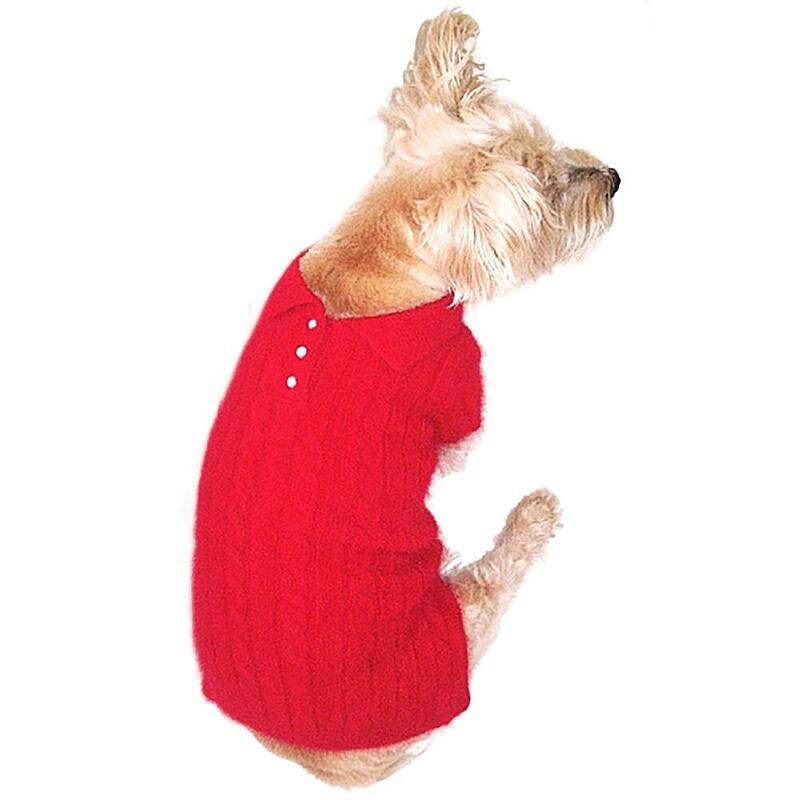 Your dog will move to the head of the class with the Luxury Preppy Polo Cable Knit Dog Sweater in Red by The Dog Squad. If you want your pup to look prim, propper, and fabulous at obedience school, The Dog Squad's Luxury Preppy Polo Dog Sweater in Red will score some treats! 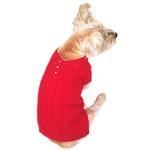 Give your dog a preppy look this holiday season with this elegant Red Cable Polo Sweater. Also available in Fuschia and Black. I love their products. The best pet store on line or off line to purchase pet cloths and supplies!! !